The announcement came just hours after news that its CEO, Geisha Williams, would step down. 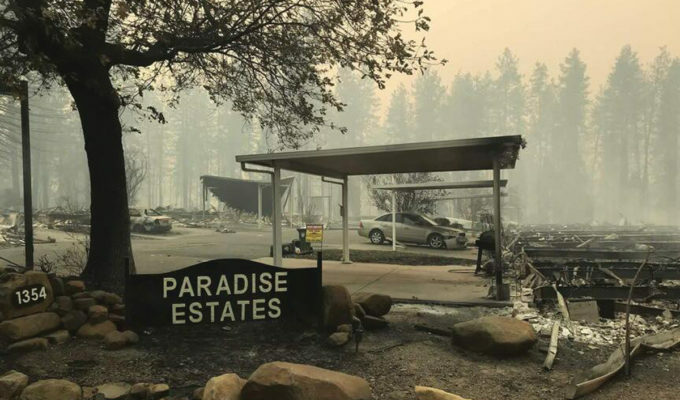 The utility company — which powers the residences of roughly 16 million Californians — was determined to have been responsible for 17 wildfires that burned across Northern California in 2017. It is also believed to have been the source of the recent Camp Fire in Northern California when one of its power lines made contact with trees, though that has yet to be determined. The fire resulted in 14,000 homes and over 4,000 other buildings destroyed, and 86 deaths. Filings with the Securities and Exchange Commission show that PG&E may face at least $30 billion in liability for wildfires in 2017 and 2018, in addition to fines, penalties, and other costs from potential liabilities, litigations, and government investigations. The utility company did say in its announcement that it did not expect customers to experience any impact on their electricity or natural gas services. Filing for Chapter 11 bankruptcy allows PG&E to stay in business while it works on sorting out its debts. For California politicians and regulators, PG&E’s announcement signals challenges in deciding on what next steps to take. Having just entered office last week, California Governor Gavin Newsom told reporters on Monday that he and his team were looking at what options it had in helping the situation, but that nothing had yet been decided. “Everyone’s immediate focus is, rightfully, on ensuring Californians have continuous, reliable and safe electric and gas service,” said Newsom. Acknowledging the possibility of the bankruptcy filing going through, he added that as much as they’d like to see it avoided, they were not “naive” to the matter. “I’m cognizant of the taxpayers, and I’m cognizant of the ratepayers, and I’m absolutely cognizant of those who lost everything,” said Newsom. He added that he and his staff had been in constant contact with the stakeholders and regulators throughout the week and weekend. “Throughout the months ahead, I will be working with the Legislature and all stakeholders on a solution that ensures consumers have access to safe, affordable and reliable service, fire victims are treated fairly, and California can continue to make progress toward our climate goals,” said Newsom. 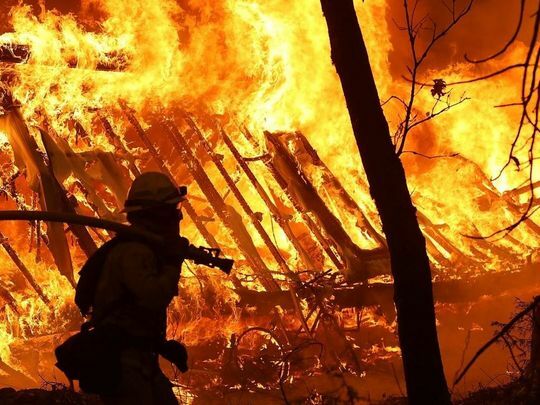 Last year, the state officials allowed PG&E a bailout by imposing victim lawsuits costs and other fire-related losses to ratepayers, but it’s unclear if the same will happen this year.